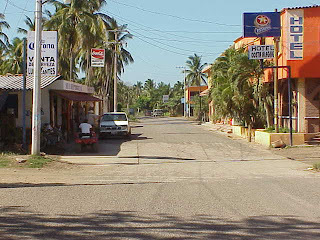 Rebalsito is the last small town on the road to Tenacatita - about 3 kilometers from the beach. Very quiet usually unless the school band is marching up the main street. There is a hotel or two and a few stores. 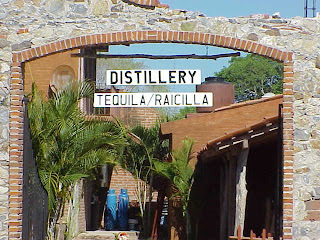 There is a nice looking little distillery on the edge of town that claims to make/sell Tequila and Raicilla but nobody I talk to knows much about it. Beach vendors that live in town will push their carts to the beach on that narrow road so watch you don't run over them. There is one bus a day to Rebalsito from Melaque - you'll find the schedule below. El Rebalsito/Tenacatita to Barra, Melaque and Cihuatlan return, departs El Rebalsito at 07:00 return from Barra and Melaque around 17:00.